Based in San Francisco, CA where Susan danced numerous seasons with Smuin Ballet, she quickly became embedded in the arts community once word began to spread about her new found talent. Susan started off by learning how to make leotards, dismantling one of her favorites just to see how exactly the pattern was made. 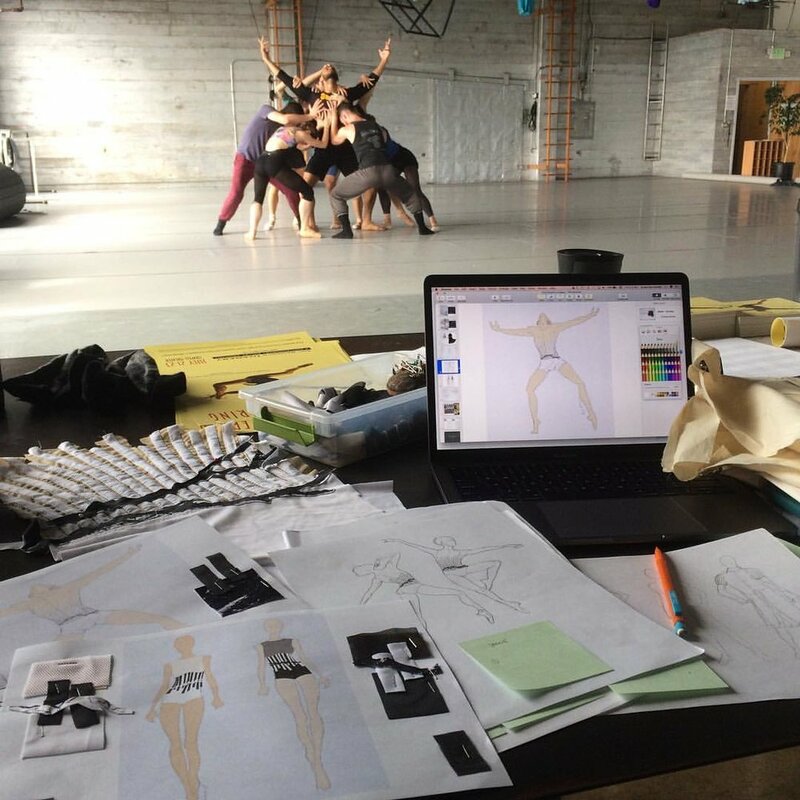 After crafting a few, she found friends, from fellow Smuin Dancers to San Francisco Ballet's Sasha De Sola, eager to put in orders for her bold yet sleek designs. Not too long after, requests for leotards turned into requests for costumes. A realm she was familiar with, having worn many costumes as a dancer, yet Susan had not envisioned costume designing for herself. But with curiosity & willingness, she boldly accepted the opportunity & dove right in. Since 2012, Susan has been commissioned to costume 50 projects and the requests keep coming. Through costume designing Susan discovered an outlet that melded her skill in crafting high functioning dance wear with exploring fashion & flair. Susan's designs have graced stages across the world, from local dance troupes to world class ballet companies. I can't help but stop & stare, mesmerized by her ability to create designs that are durable & delicate, all in one. Get ready to feast your eyes on the process behind the scenes at S-Curve Designs. What I admire about Susan's work is not only her versatility and the way she melds athleticism & artistry, but somehow she's been able to identify her voice within her creations. Meaning, when I see a picture, I can tell by the fit, accentuation of the body, and attention to detail in accented lines & curves, that it might just be an S-Curve Design. Most recently, Susan collaborated with Choreographer Val Caniparoli in his newest creation for Smuin Ballet titled If I Were A Sushi Roll. Watch this beautiful & enlightening interview to get a behind the scenes look into what Susan's process was like in this project and how her experience as a dancer has aided her in the process. S-Curve is expanding! If you or someone you know fits the role as an experienced seamstress, send in your resume asap!